Power Aviation is product and service representative for the Bambi Bucket Division Products. 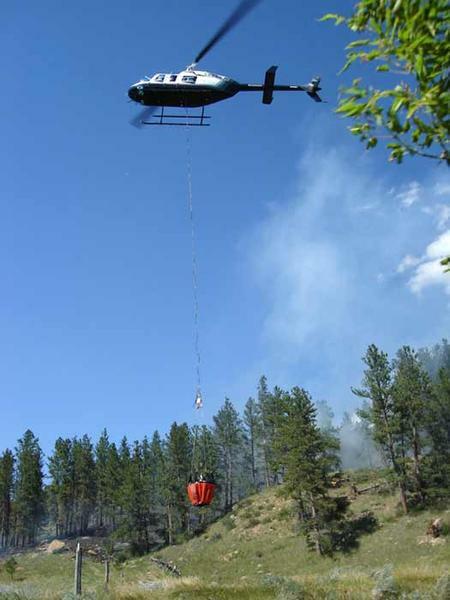 Launch highly-efficient precision attacks against fires by equipping your helicopter with the Bambi Bucket. This tough, lightweight product delivers a solid column of water or foam – on target, every time. Provide highly cost-effective water delivery. Offer compact, lightweight and portable convenience. Stand up to field conditions thanks to our unique Bambi Bucket fabric – designed for maximum durability and strength. 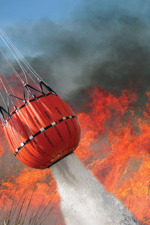 Can be enhanced with our many innovative accessories to create the ultimate aerial firefighting weapon. Offer variable fill capability and foam injection systems. Offer fast fill and shallow water capability. Feature a dump valve that opens instantly. Can fit any size helicopter. SEI Industries and use the "Bambi Bucket Selector". For other information and pricing, please contact us at Power Aviation.